This text serves as an excellent reference for teachers and educators looking for real-life examples of quality essays written by students in grades 2-7 on the personal narrative. This tiny book serves as a BIG jumping off point for character education or units concerning the personal essay. Not only will students relate to the stories, they'll walk away inspired to write with the beautiful voices they already possess. 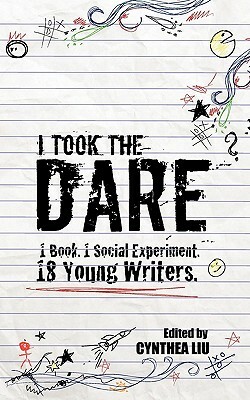 Inspired by a social experiment/writing contest created by children's book author Cynthea Liu (Paris Pan Takes the Dare, The Great Call of China, and Writing for Children and Teens: A Crash Course), eighteen young writers in grades 2-7 take a dare to better themselves for seven days, then write about it. The stories range from the warm to the wise to the sublimely hilarious. In this wonderfully charming and inspiring anthology, readers get a glimpse into tween minds as they struggle with issues like sibling rivalry, self-esteem, bullying, friendship, and many more. Information on how young writers can be included in future volumes of this anthology is also provided.